Is your family watching 13 Reasons Why? Suicide Awareness Voices of Education (SAVE) has released a set of talking points to address suicide-related content in the new Netflix series, 13 Reasons Why, which is based on a fictional novel by the same name. 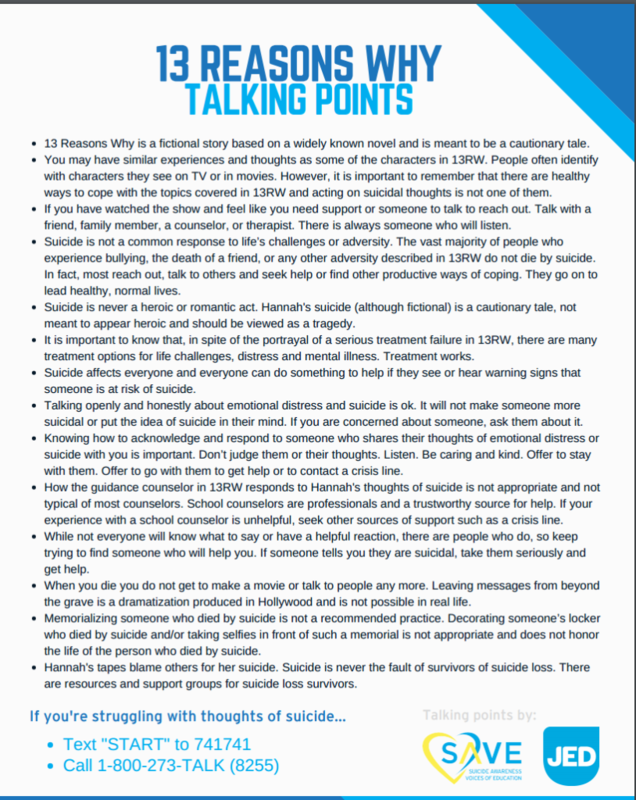 SAVE developed the talking points in partnership with the Jed Foundation to help parents, teachers, and other gatekeepers talk with youth about suicide as it relates to the situational drama that unfolds in the series. http://uptowndallascounseling.com/wp-content/uploads/2013/04/Holly-Scott-Logo-150.png 0 0 Holly Scott http://uptowndallascounseling.com/wp-content/uploads/2013/04/Holly-Scott-Logo-150.png Holly Scott2017-05-01 20:19:052017-05-01 20:19:05Is your family watching 13 Reasons Why? Getting through the hard days of depression can be extremely difficult. People diagnosed with Major Depressive Disorder often feel better pretty quickly once they begin treatment with therapy, medication, or both. Unfortunately, even when the person is completely compliant with treatment recommendations, there can be relapses. Patients can experience an unexpected setback as they are recovering. Many times the patient is completely surprised and alarmed by this sudden drop in mood. Illinois therapist and writer Jacqueline Marshall gives suggestions on how to handle those really bad days as part of her article on PSYWEB.com. Ms Marshall’s techniques can provide relief for many people. Her suggestions include relaxation, breathing, distraction, and seeking support from friends and family. It is important to remember, however, there may be a time when you do not find relief from any of these methods. If you think you are in danger of hurting yourself, call 911 and ask for help. Active Minds, an organization dedicated to spreading suicide awareness on college campuses, kicked off its tour of Send Silence Packing on September 10, 2013. 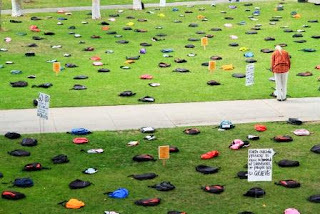 The tour is an exhibit of 1100 backpacks that represent the 1100 college students who die by suicide every year. More details of the tour can be found here. Active Minds traveling suicide awareness program of 1,100 backpacks representing the 1,100 college student lives lost to suicide each year is taking a heading to California. The tour is kicked off on September 10, World Suicide Prevention Day, at Riverside City College in Riverside, CA. Suicide is one of the most frightening possible outcomes of mental illness. If you or someone you know needs help, call 1-800-273-TALK (8255) immediately. This is the number for the National Suicide Prevention Lifeline, a 24-hour service available to anyone in need of help. Never ignore or underestimate remarks about suicide. Take them seriously, and make certain that the person in crisis is cared for. And if you think your friend is in immediate danger, do not leave him or her alone—stay there and call 911 or the National Suicide Prevention Lifeline at 1-800-273-TALK (8255). http://uptowndallascounseling.com/wp-content/uploads/2013/04/Holly-Scott-Logo-150.png 0 0 Holly Scott http://uptowndallascounseling.com/wp-content/uploads/2013/04/Holly-Scott-Logo-150.png Holly Scott2013-09-21 15:53:002014-02-11 04:53:35Suicide Awareness Program. Natasha Tracy writes in her blog, Breaking Bipolar, about the effect of her grandmother’s end-of-life struggle on her ability to fight off suicidal thoughts. In her post, she shares her thoughts as she stood by her grandmother in the hospital and how those thoughts now help her in her struggle with bipolar disorder. If you have a college student, I encourage you to explore the school’s mental health program. 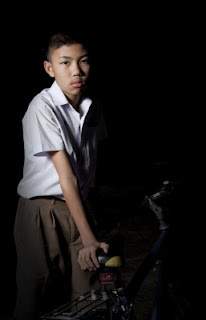 Increasing awareness of resources available to students is key to their success. Dr. Lynch’s entire article appears in his HuffingtonPost blog here.